Chris Stoikos is a serial entrepreneur and chief executive officer of Dollar Beard Club. He is the archetypal “mover and shaker” with a number of entrepreneurial credits to his name. His true genius lies in the ability to creatively market and commercialize products, and in building and maintaining teams of experts to run businesses independently. 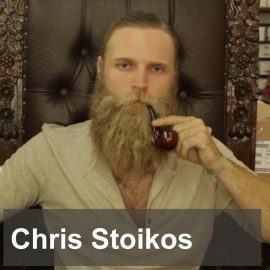 Despite his youth, Chris brings a practical knowledge of business in tandem with a firm grasp of market psychology for a younger and “hipper” consumer base. He also brings his manly beard, named “Grizz”.